Sandton is home to some of the wealthiest and most influential citizens in South Africa. Hosting the Johannesburg Stock Exchange, the suburb is widely acknowledged as South Africa’s premier financial district and is often referred to as “Africa’s richest square mile”. The Sandton CBD has created a massive demand for residential property in the area as the headquarters of most financial institutions are located here. A Sandton property is, therefore, the ideal investment for people working in the financial sector and in the numerous businesses which have located their offices in this economical powerhouse. Looking at the booming business sector and the numerous high rise buildings which dominate the landscape, it is hard to imagine that only 50 years ago Sandton consisted of a collection of dusty horse trails and small holdings with a rural, yet upmarket lifestyle. Gaining its name from a combination of Sandown and Bryanston, crime problems forced numerous corporate offices in the 1990’s to relocate to Sandton from the Johannesburg Central Business District. This resulted in Sandton becoming the new financial centre of South Africa. The area is home to one of the most exclusive shopping centres in the country. 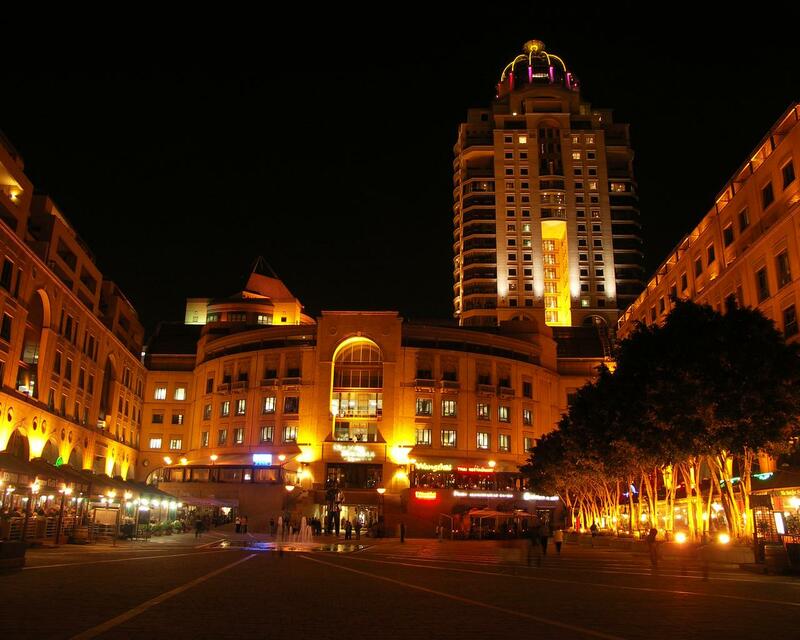 The magnificent Sandton City Shopping Centre houses almost 300 leading local and international retailers. Brand names and luxury are the order of the day, with the very best in entertainment and fine cuisine adding to the massive popularity of the centre. 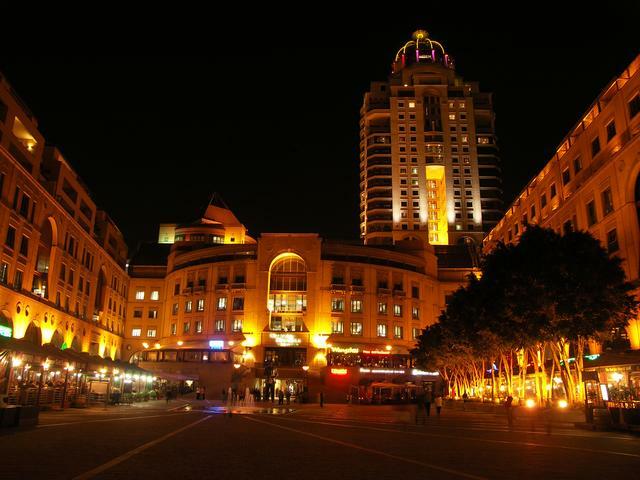 Together with Nelson Mandela square, Sandton City makes up the one of the largest retail complexes on the continent. Nelson Mandela square is the perfect place to unwind and have a meal after a long day of retail therapy, with numerous restaurants offering a selection of cuisine from across the globe. There is also a six meter bronze statue of Nelson Mandela on display here, adding to the region’s ambiance. Amenities in the area additionally include a plethora of outstanding schools and hospitals. Sandton property caters for a wide range of budgets, with numerous types of property offered for sale or rent. Cluster developments, high rise apartments as well as spacious family homes are on offer, all boasting their own unique architectural style and character. Atholl, Illovo and Inanda (Sandton) are suburbs well known for their central location between Melrose Arch, Sandton CBD and Rosebank CBD. 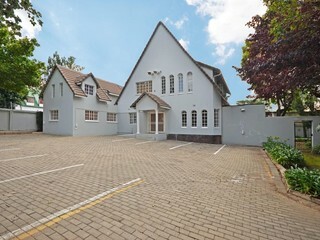 Real estate in this location is ideal for those working in any of the surrounding areas; save time on your daily commute and take full advantage of the large selection of fine schools, shopping and places of worship that are literally minutes away from Atholl, Illovo and Inanda properties for sale. Tree lined avenues throughout Atholl, Illovo and Inanda emit a sense of being out in the country while being centrally located within the middle of the city. Find property for sale in this region and you can expect ivy climbing lazily up the walls of homes, lush, sprawling lawns complete with shaggy dogs and laughing children. Atholl, Illovo and Inanda properties offer a popular lifestyle destination, social centre point at the same time as being a haven of tranquillity for families. Atholl, Illovo and Inanda offers 2 resident associations that look after the interests of homeowners while also preventing uncontrolled development. The Atholl, Illovo and Inanda Area Residents Association and Sandton South Residents Association also facilitate a network of controlled security and access through the suburbs of Atholl, Illovo and Inanda, Inanda and Illovo, with numerous security guards patrolling the area, security checkpoints and CCTV cameras being monitored by armed response. Safety and security is of prime importance, making real estate in the area very much sought after. The outstanding security facilitates walking, jogging and cycling down the tree lined avenues which in turn is creating more attractive, healthier lifestyles for all. Real estate in Atholl, Illovo and Inanda offers a lifestyle of convenience, security and a sanctuary of peace and serenity for all residents. Most of the properties for sale are positioned amongst aged trees on land between ½ an acre & 2 acres in size. A few smaller cluster complexes are quietly tucked away down little side streets, providing ample real estate for all income brackets. Atholl, Illovo and Inanda properties for sale make up some of Johannesburg's best kept secrets. Broadacres is an area just north of Fourways Mall; a vibrant, fast developing piece of Gauteng real estate. Central to the appeal of Broadacres property is the superb Broadacres Shopping Centre which boasts a stunning collection of boutique shops, a SuperSpar that could possibly be one of the best, a variety of restaurants, banks, garden centre as well as a Virgin Active gym and the new Arena Royale theatre and music venue. Property in Broadacres benefits from numerous amenities in the surrounding areas. The Fourways Life Hospital is just down the road as are a collection of excellent schools. HeronBridge School, Unity College, Crawford and Dainfern Colleges as well as the excellent Broadacres Country Nursery School for the little ones can all be found close by. Nearby Chartwell offers horse riding, country spas and excellent guesthouses as well as tranquil getaway from the pace of Johannesburg. Bryanston is a suburb that everyone in Gauteng is familiar with; established, settled and even sleepy, Bryanston properties actually have a history marked by innovative thinking and planning. Initially created on farmland, Bryanston property for sale is generously endowed with parks and vast open spaces. Most Bryanston properties will offer buyers rolling lawns and beautiful gardens full of ancient trees; character being a primary attribute that each home displays. Incidentally, Bryanston was one of the first sites in the country to be laid out and serviced in accordance with modern town planning principles. Bryanston became South Africa's first "Golf Estate" when SA Townships gave an undertaking to establish a golf course for residents. SA Townships was the small, independent mining house chaired by the late Sir Abe Bailey, and the name Bryanston was derived from his London home - Bryanston Square. This London connection also gave rise to most of the original street names; you'll find Bryanston properties on streets named Mount, Portman, Bruton, Arlington and Grosvenor, to mention a few. Bryanston property for sale is increasingly sought after by family buyers for its impressive schools. St Peter's was established in 1950; the Methodist St Stithians followed in 1953 and Bryanston Primary school in 1954. Others built since include Bryneven, Bryandale, Bryanston Parallel Medium, Brescia House, the Michaelmount Waldorf School and the nearby American School. As a result, most sales of Bryanston properties in recent years have been to existing residents expanding, downsizing or upgrading as their needs and those of their families change. Once a suburb consisting almost entirely of large homes on massive properties, the residential demographic in Bryanston has changed somewhat. Many of the original Bryanston properties have been snapped up by developers and converted into upmarket complexes, cluster and luxury homes. This has resulted in a generation of buyers who are eager to take advantage of theconvenient lifestyle offered by clusters and excellent location of the suburb. With top private and public schools, convenient shopping, many churches and a well-patronised country club right on their doorstep, who can blame them? Cedar Lakes Estate is a modern gated estate of approximately 600 exclusive homes. Situated on Cedar Road, just north of Fourways Mall, Cedar Lakes offers a relaxed family lifestyle with unobtrusive, top quality security. Property for sale in the estate is extremely sought after; there is also a selection of Cedar Lake rentals available to those who don't want to be tied down by purchasing real estate. Cedar Lakes Fourways is situated on a lush green belt with a winding maze of lakes, dams and waterways. The birdlife is incredible, with everything from heron to hornbill, kingfisher to kestrel. Fishing is also permitted on a catch and release basis and will net you anything from carp to bass and kurper. In the surroundings of Cedar Lake Estate, your children will become wildlife experts in no time at all! The Cedar Lakes Estate clubhouse and deck is set beside the main lakes providing the perfect venue for afternoon sundowners with friends. On colder evenings, an open fire welcomes visitors to come and gather round, before enjoying a family supper or picking up a warm takeaway. The facilities at Cedar Lakes Fourways also include tennis courts, a mini soccer pitch, cricket nets, swimming pool and jogging trail; perfect for the health conscious and those who don't have time to get to the gym. Nearby shopping centres include Broadacres Shopping Centre, Fourways Mall, Fourways Crossing as well as Cedar Square. The Fourways Life Hospital is literally next door, while Sandton,Olivedale and Sunninghill Clinics are within easy reach. Monte Casino is a big draw card with restaurants, theatres, movies and the casino; an entertainment centre that will keep the whole family entertained. Families have a comprehensive selection of schools at their disposal: Broadacres Farm Nursery School, HeronBridge, Crawford Lonehill, Crawford Fourways, the American International School, as well as Dainfern, Summit and Beaulieu Colleges are all within the vicinity. Homes in the tranquil, established Cedar Lakes Estate range from fantastic-value cluster homes in The Village to larger family homes set on stands of around 800m². These are also available as Cedar Lake rentals. Given that the estate is immaculately kept and extremely secure, the homes are very much sought after by families, busy executives and retired couples. Houses for sale in Craigavon are tucked behind Cedar Square; away from the busy streets in avibrant, young suburb that offers a wide selection of properties. Those looking for houses to rent in Craigavon will find a wide selection, from new development entry-level homes to upmarket cluster houses in exclusive estates. In terms of shopping there is a wealth of convenience in the nearby vicinity. Fourways Mall is within walking distance of all property for sale in Craigavon, as is Fourways Crossing and Cedar Square. Broadacres Shopping Centre is just down the road and the entertainment destination of Monte Casino is no more than 10 minutes away. Schooling in the area offers an impressive collection of variations. Property for sale in Craigavon benefits from Crawford Preparatory School; located within the suburb and a host of schools that are found within a short driving distance: Bryandale Primary, Fourways High, Crawford College, Dainfern College and Heronbridge offer exemplary schooling for your young ones and there are also plenty of pre-schools located nearby. Houses to rent in Craigavon can be accessed from 1 of the 2 entry points, making it accessible but secure at the same time. The N1 highway can be accessed a short distance away, making your approach to Sandton, Johannesburg and Pretoria an easy one. Head north-west of all houses for sale in Craigavon and you'll be making your way towards the tranquillity of Hartbeespoort Dam and the Magaliesberg Mountains; perfect quick escapes for a weekend or Sunday afternoon. There are numerous beautiful pieces of property for sale in Craigavon, with Fernbrook Estate being one of the most sought after addresses in the suburb. This estate borders the Jukskei River and offers a clubhouse with swimming pool, jungle gyms for the kids and a relaxed lifestyle with complete peace of mind. The Jukskei River meanders through indigenous trees which are home to the protected species of local bush babies; adding to the special appeal of Fernbrook. Houses for sale in Craigavon can fetch prices from R1 million up to the late R2 million mark. Prices on homes in Fernbrook Estate here start from around R2.5 million and are individually designed and built to a very high standard. Homes in Craigavon have enjoyed a good return on investment and the on-going sales will ensure that this continues into the future. The area encompassing Douglasdale property and Douglasdale rentals received its' name from the famous Dougasdale Dairy, located on Waterloo Road. This working dairy has been in successful operation for over 70 years having started off producing milk as a hobby in 1930 and then moving onto professional operation in 1940. The properties in Douglasdale have all been built on the actual farm and now make up a middle-to-upper class suburb in the North of Johannesburg, next door to Fourways and Norscot Manor. Douglasdale lies nestled between Fourways, Norscot Manor, Bryanston and Jukskei Park in a beautiful part of Johannesburg North that offers many green belts as well as close proximity to everything that is happening. Local shopping centres have everything residents need from grocery stores to DVD stores and take away venues. Some local restaurants and coffee shops also provide a delectable selection of food and beverages for those not wanting to travel too far. Shopping centres located outside the area of Douglasdale property are no more than 10 minutes away by car. Fourways Mall, Fourways Crossing, Design Quarter, Cedar Square and Broadacres are all divine shopping centres by anyone's standards, all containing fabulous eateries, entertainment and great shopping. Schools that serve Douglasdale property and Douglasdale rentals include the following primary schools: Bryneven, Bryandale, Bryanston, Bryanston Parallel Medium (Afrikaans and English bilingual) as well as Crawford Lonehill and Crawford Fourways. In terms of high schools, Fourways, Bryanston, St Stithians and Brescia House are all exceptional educational facilities that are still within a close driving distance. Douglasdale property benefits from the beautiful surroundings, abundant with old, established trees and prolific birdlife. Prices on properties in Douglasdale start from about R650,000 for complexes, flats and townhouses, up to the late R2 million, early R3 million mark for more established homes on large, expansive stands. Douglasdale property for sale is hugely in demand, Find your ideal home among our properties. Tucked away, just off the bustling William Nicol Drive, rests the quiet suburb of Fourways. No other area within Johannesburg offers quite as much as Fourways with her neighbouring suburbs Douglasdale and Norscot; schools, shopping centres, close proximity to the highways, entertainment venues, value for money and community are all aspects of the lifestyle found with Fourways properties. Fourways rentals and Fourways property for sale are all within easy reach to a host of amenities and excellent schools. Whether you're looking for a government or private school, you have plenty of choice: Bryandale, Bryneven, Bryanston Primary and Bryanston Parallel Medium are all exceptional Primary schools. Fourways High is the ideal choice for high school as it sits nestled in the middle of the suburb. There are also a range of other private and government high schools in the vicinity such as Brescia House, St Stithian's, Kings, Crawford and Redhill to name a few. Small local shopping centres are dotted around the Fourways properties area, while Fourways Mall, Fourways Crossing, the Design Quarter and Cedar Square are excellent choices for a more extensive range of shops and restaurants. Monte Casino offers entertainment for all the family by way of cinemas, theatres, the Comedy Club, Bird Gardens, bowling alley, hotels, shops and innumerable divine restaurants. Add in a number of lush, green belts and parks and an unspoiled nature reserve, and you have an area that caters to everyone's preferences and needs. Nearby Norscot hosts a comprehensive recreation centre with a stunning, relaxing tea garden at Norscot Manor. Gym bunnies can take full advantage of the Virgin Active and Planet Fitness both located a short drive away. If golf is your thing, Kyalami, Dainfern, Leeuwkop and Bryanston are only 10 - 15 minutes away. Whether you're looking for a townhouse, cluster home and or a freestanding house, you'll find your perfect home amongst the selection of Fourways properties. Entry-level units start at mid R500,000 while executive homes can reach up into the mid R4 millions. Fourways property for sale offers truly excellent value for money, giving you peace of mind over your investment. Fourways Gardens is a gated lifestyle estate consisting of just over 1000 homes. Originally established in 1984, Fourways Gardens property for sale has a true family appeal with a host of parks, dams, playgrounds and sports facilities. The security surrounding all Fourways Gardens property for sale is excellent, giving you the opportunity to let your children roam free, cycle the streets, meet up with friends and play; as all kids should. Fourways Gardens realty benefits from a very close-knit community feel, which is reflected in the many family events. Carols by Candlelight, Easter egg hunts and kite flying competitions are all very much the norm in the area. Fourways Gardens rentals are also very much available, with many of the rental residents becoming permanent after time. Residents offering up their Fourways Gardens property for sale can only vouch for the safety and security of the area, but there are other amenities that help complete the picture. The area has its own local bar and restaurant and many activities are run from here, including: ballet, karate, yoga and the walking and running clubs. Tennis courts, soccer fields, cricket nets and a basketball court ensure that active residents are fully catered for. For the nature lovers purchasing Fourways Gardens realty, the lakes, dams and nature reserve are a major attraction, also inviting an abundance of fauna and flora to the area. Families have a good mix of schools to choose from: the American International School, HeronBridge, Crawford Lonehill, Crawford Fourways, St Peter's, Fourways High, Brescia House, Dainfern and Beaulieu Colleges are all exceptional schools within the close vicinity. Part of Fourways Gardens' appeal is its proximity to everything a family needs. Excellent shops and restaurants are nearby in Fourways Mall, Fourways Crossing, Cedar Square, Broadacres and Lonehill; while Monte Casino offers a little bit of everything from restaurants to theatres, cinemas, hotels and the casino. Fourways Gardens property for sale ranges from the entry-level sectional title and cluster units, through to the original 25 year and older properties needing a makeover, to the immaculate and beautifully renovated homes and new houses. Fourways Gardens rentals offer the ideal living situations for the international corporate tenant, creating a wonderfully diverse group of residents that all come together as one community. Hurlingham Manor is set in a boomed off area with strict access control, enhancing the safety and security for real estate in the area. The suburb is considered to be one of the safest suburbs in Gauteng with two extremely vigilant security companies patrolling the area 24 hours a day. Hurlingham Manor rentals are as much in demand as the purchase of real estate, with a large number of young professionals seeking to settle in the area. Hurlingham Manor properties offer residents the ability to benefit from well-maintained parks where children play and parents are confident in their safety. There is a strong community feeling that is clearly evident; friendliness and neighbourliness is highly apparent making property for sale very popular. There is an active home owners association that meets on a regular basis ensuring that residents are invited to partake in the up-keep and improvements to the suburb. Rather than sell residents in the area tend to embark on home improvements. Those who do sell often keep their eyes on the Hurlingham Manor properties for sale will buy again within the area. Hurlingham Manor properties have access to St Stithians College; a premier Gauteng school that is situated within the suburb. Other exceptional schools, both private and public are also situated within easy reach of all Hurlingham Manor properties for sale. There is a shuttle service running between Hurlingham and Jan Cilliers Primary(a popular Afrikaans school). The area in its entirety is relatively small in size; Hurlingham Manor rentals and properties for sale are usually found on stands ranging in size from 750 to 1,200 square meters. All residents exhibit great pride in their suburb and are often found taking leisurely walks in the park-like environment, while soaking up the atmosphere of serenity and secuirty. The Braamfontein Spruit borders Willowild bringing with it a prolific selection of bird life. There is also a bird sanctuary boarding Hurlingham Manor that adds to the natural charm of property for sale in the area of Hurlingham Manor. When looking at the Hurlingham Manor properties for sale, the most salient features of the region will become apparent. Security, great schools, the close proximity to all major arterial roads, the major business nodes and shopping centres are all prime features of this stunning suburb. The views of the Sandton CBD from certain properties are spectacular, especially during a Highveld thunderstorm. On the opposite extreme of that vantage point are the views of the bird sanctuary and the constant buzz of natural life that emanate from this area. The Hurlingham Manor properties offer purchasers exceptional value for money with prospects for excellent future growth. When purchasing a property in the area one can expect home prices ranging between R2,200,000 and as high as R6,000,000. Due to the efficient access control and security, Hurlingham Manor is a popular choice for corporate rentals. Within the hustle and bustle of high rises, highways and town house complexes lies the serene tree lined suburb of Hyde Park. It lies burrowed between Killarney, Melville and 6th Roads still carrying the countrified charm of days gone by. Properties in Hyde Park are somewhat of a luxury. The area offers apartments, town houses, clusters and beautiful homes. Costing anything from R2m for an apartment, town houses from R1,2m, clusters between R5m and R10m and free standing homes between R8m and R30m. Sandton CBD is just a stone's throw from here offering shopping fanatics a world of retail bliss, restaurants and the Gautrain station. Hyde Park Shopping Center is the chosen shopping destination of the rich and famous and also houses the Hyde Park Southern Sun Hotel which boasts an exclusive whisky and cigar bar. This leafy suburb is surrounded by private schools such as St David's Maritz Brothers, Crawford and Pridwin, as well as renowned Hyde Park High School. Residents revel in the fact that the area is well patrolled by security teams which enhances the appeal of all the homes in Hyde Park. A private tactical security response company mans the area with boomed and gated roads with state of the art surveillance cameras. One such been 4th road which is regarded as one of the country's finest addresses. The guarded entrance jealously protects the owners with state of the art security. Hyde Park is situated snuggly against Sandhurst and therefore will hold its value. Illovo property offers a centrally located suburb bordering on Atholl and Inanda; suburbs that match Illovo in convenience of location, beauty and their collection of real estate. Illovo's close proximity to the M1 as well as to Sandton and Rosebank CBDs make it an ideal location for business people. Illovo rentals are very much sought after for those people looking to make their imprint on the economy, as well as those who live outside of Johannesburg but conduct a lot of business here. The beauty of Illovo property is in the fact that you can be in the middle of all the action at one moment, and then surrounded by blissful quiet the next. The areas encompassing Illovo property for sale are vast and varied and lend to the eclectic tastes of residents. Close proximity to Blu Bird, Atholl Square, Melrose Arch and Sandton City are all promising features for residents, as well as those looking to buy in the area. Security is of prime importance for owners of Illovo property, but with the Sandton South Residents Association there is no need for worry. The association facilitates a controlled security that is networked across the suburb and can be accessed throughout. There are numerous security guards who regularly patrol the suburb and CCTV cameras that are constantly monitored by armed response. Illovo property is made up of a broad range of property types, from numerous flats that are preferred as Illovo rentals to illustrious complexes and grand, old properties of between ½ an acre & 2 acres in size. There is a little something for most people in Illovo, with prices ranging from between R750,000 for a simplex or apartment and up to R12 million for stunning, established homes on expansive pieces of land. Inanda properties first came about in approximately 1920 when the famous Inanda Club was founded along with the most prominent school in the area; St Davids Marist Brothers. There wasn't much else surrounding these two magnificent pieces of real estate in Inanda except for beautiful stretches of open land. This land was pinpointed as the perfect area to erect a neighbourhood, and thus the stunning suburb of Inanda was born. Inanda property is nestled between Atholl, Illovo and Hyde Park and finds itself within easy access to the Sandton and Rosebank CBDs. This central location makes it easy for residents to access the surrounding shopping malls, schools, restaurants and places of business. The notorious shopping mall, Sandton City is only minutes away from Inanda properties for sale as is Village Walk, Sandton Square, Hyde Park shopping centre and the Rosebank Mall. Schools in the nearby vicinity have also increased the overall popularity of real estate in Inanda, with St Davids Marist Brothers being the most prominent and central school for Inanda residents. Other schools nearby include Hyde Park high school and Sandown high as well as Crawford College in Sandton. The Inanda Club is another draw card for those investing in Inanda properties for sale. Many equestrian events attract people to the club but it also hosts numerous unrelated events and that cater towards crowds both young and old as well as corporate functions and weddings. Inanda properties range in style from beautiful cluster complexes and townhouses to a range of established homes set on large, rolling properties. The value of real estate in Inanda is constantly increasing what with many people looking to reside there. Some properties will easily fetch up to R14 million. Lonehill is a secure garden suburb encompassing Lonehill East, Beverley AH and Pineslopes and is situated due north of Bryanston. Property in Lonehill is within easy reach of Lanseria International Airport and all the main arterial roads to Pretoria and Johannesburg, making it central, convenient and sought after. Property in Lonehill is probably best known for the ‘Lonehill Koppie' which is a seemingly precariously balanced boulder on the top of a koppie within a central nature reserve. The reserve is made up of a rocky outcrop with indigenous shrubs and plants and a resident population of dassies. Hikers and picnickers, families and dog walkers all enjoy the tranquillity on weekends and also enjoy the picturesque dam, park and children's playground. Lonehill has numerous green belts providing endless opportunities for hikers, cyclists and joggers to make use of; secure in the knowledge that the whole suburb is constantly patrolled and monitored. Lonehill property for sale takes full advantage of the numerous nursery schools in the area, as well as the Crawford Preparatory and College, which caters for learners from Grade 0 to Grade 12. The American International School, St Peter's Preparatory, Fourways High, Brescia House, Dainfern and Beaulieu Colleges are other local options making for a huge appeal to Lonehill rentals and property in Lonehill. In terms of shopping, property in Lonehill benefits from excellent shops and restaurants that are found within the Lonehill Shopping Centre, Fourways Mall, Fourways Crossing and Cedar Square. Monte Casino is a mere 10 minutes away and offers a number of restaurants, theatres, cinemas and hotels. There's a Virgin Active gym in Lonehill for those fitness addicts who prefer getting their fix indoors and several golf courses can be found in neighbouring suburbs. Fourways Life Hospital is your nearest hospital, with Sandton and Sunninghill Clinics within easy reach. Property in Lonehill is known for its community spirit and the area was voted the Safest Suburb in South Africa in 2010, thanks to the outstanding security service that patrols and monitors the area. The Lonehill Residents' Association is a Section 21 company, led by a full time CEO and team of permanent members. Residents are anything from first-time buyers through to young families and executives, to the more mature person wanting to downsize once the family has left the nest. Prices range from around R550,000 for a starter unit in Pineslopes to up to R5 million for a luxury family home in Beverley. Magaliessig is a hidden gem and one of the most in demand properties for sale in Fourways. Magaliessig is tucked away between Main Road, the William Nicol, the N1 and Witkoppen Road. This central location, mid-way between Johannesburg and Pretoria affords Magaliessig properties with easy access to everything that a discerning buyer looks for in real estate. When the Northern Suburbs were little more than veld and the original ‘Fourways Crossing' was just an intersection of dirt roads, the area of Magaliessig properties was used for filming Western movies. It is perhaps best known for the ‘mashie' golf course where Ernie Els won his first-ever competition. Magaliessig properties are home to the Heilbrunnen Bird Sanctuary, established on a wetland donated by the Hahn family. There are a number of parks in the suburb that attract a rich variety of birdlife, perfect for nature lovers and outdoors enthusiasts. Property for sale in Magaliessig offers a strong community feel and a determination to keep the area attractive and secure. Shopping is a pleasure for those looking to rent in Magaliessig or those who own Magaliessig properties. Design Quarter, Fourways Mall, Lonehill and Cedar Square are a few of the more prominent shopping centres nearby. Monte Casino is just around the corner for all the family's entertainment needs, from casino to movies to bowling, and then there are several golf courses within a short chip and a putt. Magaliessig properties for sale benefit hugely from schools that are easily accessible. Bryneven, Bryandale, Bryanston and Bryanston Parallell Medium are all primary schools of exceptional calibre. Fourways High is an excellent government high scool, while St Peter's, Brescia House, Crawford and Dainfern Colleges, Michael Mount Waldorf and Redhill are all great private schools within easy reach. Properties in Magaliessig range from entry-level sectional title units through to ultra-modern homes right the way on to the 30-year-old family houses which may or may not need renovating. Morningside is an exclusive suburb situated in the Sandton Municipal Area. Morningside property is highly sought after due to the close proximity to the Sandton CBD, which is the financial headquarters of many multi-national and international companies. A traditional Morningside property is a large rambling home situated within a 1 acre lot. However, today a typical Morningside property has transformed into a high density area home to luxurious cluster estates, housing estates with 24 hour security, townhouse complexes with communal pools and clubhouses. Morningside apartments are luxurious high rise apartment buildings with superb facilities such as restaurants, state of the art gyms and exercise length swimming pools. Morningside apartment buildings all boast magnificent penthouses with views to the distant north. The sophisticated nightlife, exclusive shopping malls, varied restaurants and the easy access to office buildings and company headquarters makes property for sale in Morningside a hot commodity. Paulshof is known as the "garden village of the north". Situated slightly uphill from Sunninghill, Paulshof is a fairly modern upmarket suburb. Property in Paulshof is popular due to its prime location and beautiful homes. Paulshof is located about 10 km from Sandton CBD, making it very convenient for all working in Sandton. Paulshof features the Rietfontein Nature Reserve- a 25-hectare reserve home to indigenous plants and unspoiled birdlife. Property in Paulshof boasts easy access to the N1 and N3, Fourways and Sandton. Paulshof is also in close proximity to amenities such as cosy cafes and restaurants, health clubs such as Virgin Active and Planet Fitness as well as Fashion TV night club. For the sport fanatics there is Vodacom World of golf and Leeuwkop Golf Course and Rivonia Sport Club offers horse riding. Because it offers something for everyone, property for sale in Paulshof is often sought after by younger executives and families alike. Paulshof boasts a close-knit community. The suburb has set up its own website and weekly newsletter. Recently the Paulshof ratepayers and residents association has proposed a number of traffic calming and security closures to protect suburb's well-being. Property in Paulshof is often considered to be some of the best in South Africa, making it an attractive choice for the first time buyer, buyers who want to upgrade and investors. Paulshof boasts sectional titles, very secure complexes and modern developments to choose from. There is a selection of upmarket well sized houses with well established gardens, of which a number are located at the Braamfontein river. These residential suburbs in the heart of Sandton are widely known and very popular amongst its residents. These suburbs are appreciated by those who enjoy community living in a a secure environment and offers homes, clusters, town houses and apartments from the middle to upper market and caters to a variety of tastes. Properties in these areas tend to be in demand as they are so close to the Sandton CBD, Gautrain and all highways, which are minutes away while living in these areas, surrounded by birdsong is like being away from it all. This is appreciated by all who live and work in the area and whom enjoy the shopping and dining on offer in greater Sandton. There is also a multitude of outstanding schools within easy reach including, St Stithians College, Redhill, Crawford College, Brescia House, St David's, The French School Lycée Jules Verne and British International College. Rivonia, also known as Edenburg, forms a pre-eminent area in the Northern Suburbs of Johannesburg. Initially made up of huge expanses of farmland, Rivonia was a very quaint area of real estate with a supermarket, garage, hardware store, a few established restaurants, a riding shop and a small chemist with a doctor around the corner. People would ride their horses down the main road and picnics at one of the rivers were commonplace in the area known as The Village. Most of the development of property for sale in Rivonia started approximately 30 years ago when large pieces of farmland were subdivided to form family homes, townhouses and apartments. Houses for sale in Rivonia look forward to the comfort of a picturesque area with many green belts and natural features. In addition to the beautiful and tranquil surroundings, there is a lot of activity in the form of businesses, shopping centres, nightlife and divine restaurants. There are local gyms and spas as well as full banking facilities for each of the 4 major South African banks. Many great schools also lead people to invest in Rivonia rentals or property for sale in Rivonia. Property for sale in Rivonia also has some fascinating historical features that lie embedded in the charming streets. Mandela ran the ANC group from a house in Winston Road, which has now become the famous Lilliesleaf Conference and Guesthouse Centre. The Sleepy Hollow where they arrested Mandela was close by, as well as the old police station where he was held in prison. Houses for sale in Rivonia are sought after, leading to the escalation in prices of local real estate. Many of the native residents who invested in property for sale in Rivonia have then chosen to upscale or downscale while remaining in the region. Properties range from complexes to clusters and stately homes, all offering prominent choices in exceptional real estate and Rivonia rentals. A major draw card for Rivonia real estate is the convenience in the location. Sandton is a stone's throw away as is access to the highways. Real estate in Sandhurst offers a piece of some of the most exclusive addresses in Johannesburg. This area sits proudly on top of a North West slope enjoying views all the way to the Magaliesburg from some properties. Houses for sale in Sandhurst present secluded spaces in one of the city's most established and gracious suburb. Sandhurst properties have a wealth of amenities at their disposal. The world famous Sandton City is located in the hub of the Sandton CBD, a few minutes' drive from most houses in Sandhurst. Hyde Park Shopping Centre is also close by and is a chosen shopping destination of the rich and famous. One of the most stunning private boutique hotels, The Saxon, houses international globetrotters as they travel across the country. This hotel is located between Sandhurst and Hyde Park and certainly adds to the appeal of the area. The land that is now Sandhurst was originally agricultural land, bought and proclaimed by mining magnates, which explains the rich British influence reflected in the names of the roads such as Saxon, Cleveland and Coronation. Sandhurst is renowned for its magnificent mansions and extensive attention to detail where architectural splendour is surrounded by high walls and designer sidewalks. A walk through the area allows one the chance to peer through majestic gates and catch a glimpse of driveways winding through lush forested gardens leading up towards hidden mansions. Prices of properties for sale in Sandhurst can reach up to as much as R100 million, easily keeping developers at bay and adding to the exclusivity of the area. These prices are attached to the distinguished, established mansions that cover numerous acres of perfectly landscaped stands. The privacy and discretion of the owners is closely guarded by the strong Residence Associations making purchasing real estate in Sandhurst popular among the country's elite, cabinet ministers and captains of industry. Sandown is a suburb of Sandton and has been transformed into the new financial centre of South Africa with extensive "A" grade office developments and is the home of the Johannesburg Stock Exchange. Much of Johannesburg's business tourism is centered in the suburb of Sandown, which has many luxurious 5 star hotels. Palatial Residential Estates, which lie on large properties boasting well maintained gardens, situated behind towering walls. The new high speed Guatrain which connects Sandton to the airport in 15 minutes, is situated in the suburb of Sandown. This new fast and efficient transport system has made Sandown property very desirable and accessible to tourists. Sandown apartments are often soaring high rises, as well as cluster homes and townhouses. Today Sandown property offers various accommodation possibilities. Strathavon is one of the adjoining suburbs to Sandown. Property in Strathavon is in high demand due to its convenient location. Strathavon is a five minute drive and a 12 minute walk to Sandton's financial district. Due to its easy access to highways and close proximity to neighbourhood shopping centres and gyms houses for sale in Strathavon do not stay on the market for long. Property in Strathavon is made up of low rise apartments, townhouse and cluster home complexes. If you are looking for houses for sale Sandton area, Witkoppen is a fast developing area tucked away on the northern side of Fourways Mall. Affordability and convenience are significant to the popularity of Sandton properties for sale. The N1 highway is 10 minutes away, giving owners of Witkoppen rentals and Witkoppen properties easy access to Sandton, Johannesburg and Pretoria. Head north-west and in no time the busy metropolitan landscape dissolves away to be replaced by rolling hills en-route to Hartbeespoort Dam and the Magaliesberg Mountains. Witkoppen properties for sale enjoy an impressive array of shopping centres, from the comprehensive Fourways Mall to the upmarket Broadacres Shopping Centre and Cedar Square. All have a tempting choice of restaurants, boutiques and mainstream shops. Monte Casino, the faux-Tuscan entertainment centre, offers cinemas, theatres, shops and restaurants aplenty and of course the casino itself. Greater Fourways offers a range of government schooling options, from Bryandale, Bryneven and Bryanston Primary to Bryanston and Fourways High Schools. On the private school side, Crawford, Dainfern, Brescia House, St Peter's and HeronBridge are all exceptional choices and a huge benefit to all Witkoppen properties. Virgin Active and Planet Fitness both have gyms in the area and there are several golf courses and driving ranges nearby for exercise enthusiasts. Witkoppen properties for sale offer homes ranging from entry level sectional title units through to new cluster homes and older family houses. Prices range from around R1 million to R3 million. A Woodmead property offers prospective buyers the ultimate in accessibility. Situated at the meeting point between four highways, residents of this mostly commercial area will be able to make their way anywhere in Johannesburg. Commuters will also be able to easily travel between Johannesburg, Midrand and Pretoria via the Ben Schoeman Freeway. Woodmead seems to be immune to the usual side-effects of a predominantly commercial zone and remains a pretty suburb with enough lush green trees lining the streets to offer an escape from the aggravation of city life. Here you can find the magnificent Woodmead Golf Course, the site of acclaimed lush fairways and receptive greens. The course has been voted as the 23rd best in the country by the South African Golf Digest, with the “Sandwedge” halfway house being recognised as one of the finest in the country. The Woodmead Retail Park offers residents an all-in-one shopping experience in a boulevard-style mall with a contemporary, modern design. This is the perfect place to find food, clothes, entertainment and fashion as well as everyday essentials. There are also medical facilities in and around the area. Woodmead property offers a selection of glamorous cluster homes. The modern design and security on offer in many of the estates have made these homes very desirable, and perfect for families seeking something special. With homes ranging from two to five bedrooms, you are sure to find something to suit your particular needs.